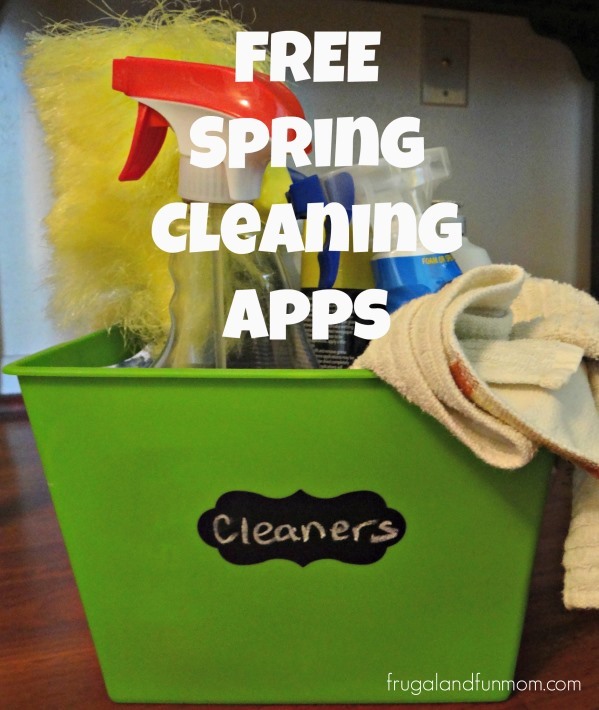 5 FREE Apps To Help With Spring Cleaning! The following is a sponsored post on behalf of Flipp. The Free App details were provided by the advertiser, opinions expressed about the Flipp App are that of my own. Between preparing taxes and the weather warming up, I am getting in the mood to start cleaning and organizing. This means it is time to shred documents, move furniture around to dust, put away the winter clothes, and pack away items into totes. If you are starting to feel the same way as me, you also know that you will be needing supplies. To make this process easier Flipp, a shopping app, saves valuable time and money by finding the deals on all the things needed to clean and organize for this Spring. The Flipp App is FREE to download, and will instantly give access to popular store ads and their sales. Available on itunes and Android. 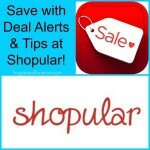 You can search this App by store ad, brand, or item and use a “discount slider” to highlight products with the best deals and savings. Once you find what you want, simply tap the item and add to your “clipping”. It will then organize the items on your shopping list visually and by store. 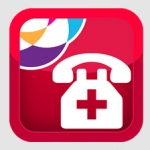 I had a chance to check out the app, and I found it really easy to navigate and use. 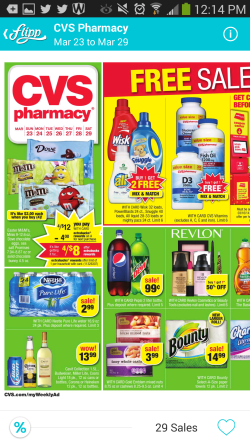 I saw flyers for JCPenney, CVS, Winn Dixie, Family Dollar, and more. They update these all the time and add a “NEW” label once a flyer has been added to the page. No need to worry now if you left your ad at home, you have it right on your mobile device. Have you tried the Flipp App before? Which features in the application do you like? I am hoping they will eventually have the weekly Publix ad, I could use that one all the time. Want to continue to make YOUR Spring Cleaning EASIER? Be sure to also check out these other FREE Apps that help organize and ready for the season! Hometalk – has home design tips and advice. You can browse photos, ask questions, and research projects. Spring Cleaning Checklist – provides helpful tips and lists of what/how to clean and organize. My Things – helps keep track of household items for easy access and organization. This inventory app helps locate stored items by providing their locations. Gardening Guide – gives advice and tricks to help ready and plant a garden. It also has a checklist and a list of typical rookie gardener mistakes. And to help with the cost of Spring Cleaning, Flipp is giving away a $25 Visa Gift Card to one (1) lucky Frugal and Fun Mom Reader. Paying With Softcard Formally ISIS Wallet! 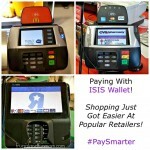 #PaySmarter Shopping Just Got Easier At Popular Retailers! I lose stuff all the time and I like the My Things app on here because I can put my items in this app and where they are located and I will be able to find them! What an awesome app! I haven't used it yet but I love the easy navigation through the ads! Never tried it. I like how easy the navigation through the ads is. I have not tried the Flipp App but the “discount slider” sounds good. I haven't tried it yet, to personalize store flyers sounds great to me. No, I haven't used this app yet, but I love the flyers being available. I can't tell you how often I go crazy looking for flyers right before going to a store. I havent but like that yo can look at store as. I have not tried the app yet. I have not tried it yet but I am anxious to try it! Never tried it. Love the variety of search options. No, I haven't tried it before. This is the first I have heard of it. Thank you! Love having all the ads with me. No, I haven't tried it yet. I haven't used it yet, but I looks very convenient. No,I've never used it.I like that you can view any store ad instead of one with the app. I've never tried the app but I will download it. I've never tried it before, but I like how you can easily make a shopping list by store on the app. I haven't tried it but now I know about it! I have not used the app yet but I just downloaded it - thanks for recommending it! I have not tried it yet! I have never tried the Flipp App, I would like seeing the products with the best discounts. Oh I really love the gardening guide! I really want to try a small garden this year! I have not used this app yet. I haven't tried this app before but I like the easy access to different store ads/deals. No.never tried it before, but it looks awesome! I have not tried it, but the discount slider feature looks nice. I have not tried it yet but I love the gardening guide. No, I have not tried it. Other than some on our computer, I don't use apps. I have not tried it but I like that it organizes your shopping list by store. I have not used it before but I think I will like My Things feature. I Have Not Tried The App, The “discount slider” Sounds Great! I have not tried it, but will for sure to do it. I love how you can see the ads for each store. Great app. I have not tried the Flipp app yet. No, I haven't tried it yet but the gardening guide sounds like a neat feature. I have never tried this app before, but I do like that they have ads for a variety of stores. I haven't tried it before, but I love that as long as I have my phone on me we're good! I haven't tried the app yet, but I really like the "My Things" feature, especially as I'm preparing to move and trying to get an inventory of everything I'm taking versus trashing! No I haven't tried them but i'm interested in the personalize store flyers. I don't have a smart phone so haven't tried these. Thanks for the contest. I haven't tried it yet, but i will. My Things would have a ton of applicability at home. No, I haven't tried it yet. I don't have a device that uses apps. I haven't tried this app yet but it looks like it would be very helpful. I recently started using Flipp and I just love it! I like that I can click on items from multiple store ads and then go back to my and find them all. Great app! I haven't used Flipp Apt, this is the first time I heard of flipp and I like that you can search store sales adds, Thank you! No, I haven't tried Flipp. I love that you can customize ads! 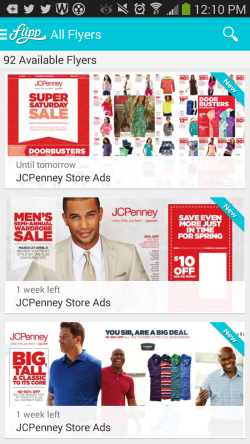 I haven’t tried this app before but I like the easy access to different store ads/deals. I haven't tried a Flipp app before. In fact I haven't heard about them till now. I have not tried the app. The app looks easy. My guess is, though, these apps don't cover small stores or organic ones, ie. Mrs. Green's. Big chains are sure to have deals, but is a sale on corn syrup-sweetened, brominated soda better than, say, a deal on seltzer water? I can't wait for extreme couponing, wholesome foods edition! I like how easy it is to navigate the ads. I've never used it before but it looks promising. I have't used it before, but I love that you can see sales papers without having the actual papers! No I haven't tried the Flipp app but it sounds helpful. I haven't tried this yet - but anything to save money and keep more organized is great! I have not tried it yet but am looking forward to. I have not tried it, but I do like how you can personalize everything by store! I haven't heard of this before but I'd love to try it out! 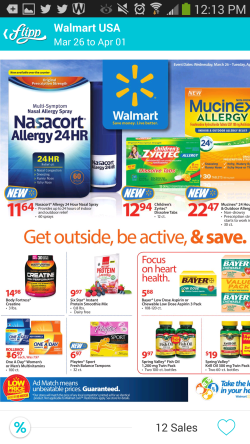 I have not tried the app yet, but I love that it has the weekly ads so I could use them for price matching! Have not tried but it sounds great! I have not tried it yet. I might have to though. I do not have this app but I like the idea. I haven't tried this, I like the discount slider and the way it organizes your "clippings". I've never heard of it, but the searching is nice. I have never tried the app. we havent tried it but the wife is down loading it as i type this! we are all about saving money!! I haven't tried it but the My Things feature seems helpful for those of us that are forgetful! I just downloaded the app after reading about it on your blog, but have yet to use it. 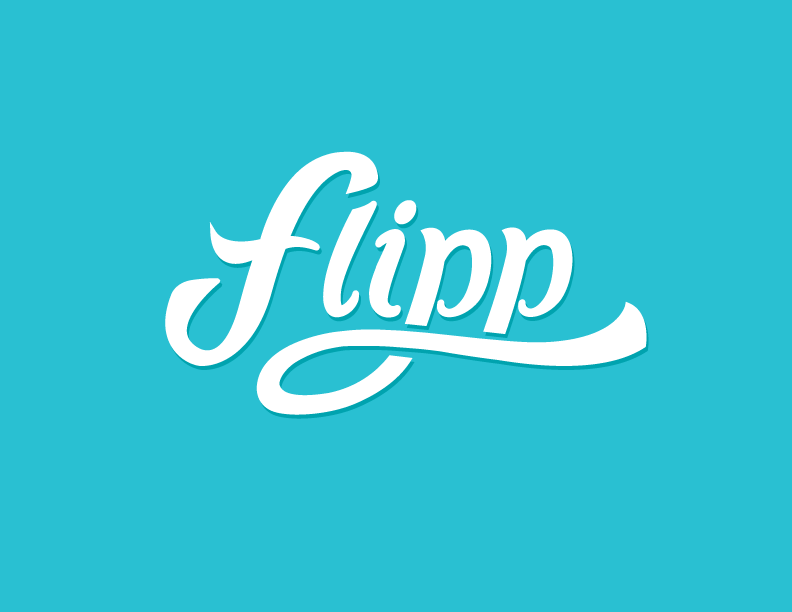 I have never tried the Flipp app before, but I would love to try it. My favorite feature is the discount slider to help find the best deals. No not yet but may in the future. no but the discount slider sounds cool! No, I've never tried it. No. I have not, but will look into it when I have a chance. No never tried it before but looking forward to it. Love that there are constant updates . I love the instant access to store adds!!! Never tried it, but I think the Gardening Guide would come in handy. Thanks. I’ve never tried it before. I haven't tried it yet but I like the ability to clip deals and organize them. I just started using the Flipp app. I love all the ads I can view with it. I don't own a smartphone so I have never tried this app. I accidentally hit enter too soon on the rafflecopter form. My Instagram user name is allyg47. Thanks! I haven't tried the Flipp app before but I agree that having Publix included would be great. That's where I do majority of my grocery shopping. I also frequent CVS and it would help with that. I like the discount slider feature the most. I'm definitely going to download in and the Spring Cleaning Checklist and the Gardening Guide. I haven't tried it yet - but it looks great! no bc i dont have a smart phone. but it sounds good. Ive never used it before but I like the weekly ads. I've not tried Flipp yet. I like how you can search by brand or item. I haven't tried it yet, but I'd sure like having sales info all in one place! I have not tried flip! I like the discount slider. I have never tried this app but it does sound helpful. I have not tried it yet, but I like the weekly ads. I have never tried or used it. I have never heard of the Flipp App but I am interested in the Spring Cleaning Checklist! Yes, I have Flipp downloaded on my tablet. I love the ease of adding items to your shopping list from multiple stores with just one click. See an item you like, click it and it's on your shopping list. I have never tried the app before, but I like the spring cleaning checklist. I've never tried it. I like how easy it is to navigate. Have not tried it yet but glad it is also for a Kindle. I haven't tried it yet but it sounds interesting. I haven't ever heard of it. I have never tried the App before but it sounds like it would be very useful. I have not trired this app before but the feature that I like is that a NEW label comes up when an ad is added on. I have not tried it but I do like the Hometalk feature. i've never tried it, but from what i've heard, the discount slider seems nice. I have not tried this app, but it looks really interesting. I have not yet used the Flipp App. I am not big on apps and smartphones even though i have them. the discount slider seems like a good feature- i'm always looking for a good deal. I haven't tried this app. I like that it makes browsing the various ads easier. I have not used it yet but I bet if you pair the apps with walmarts price match guarantee you could save a lot of money. No I haven't, but the organization app would be most important for me. I haven't tried the app just yet. Don't own a Smart phone but shared this my daughter. She loves it! I have not used this but it looks like its easy to navigate which I like. Thanks for the chance to win! i haven't used it yet. i would like to customize the flyers. I have not tried the app yet, but the discount slider part looks cool! I haven't tried the Flip App. The discount slider would be my favorite feature. I haven't tried it but the discount slider sounds good. I have not tried the Flipp app. No I've not tried this app before and the gardening guide would be really good with planting season right now! I have not yet tried this app but am planning on trying it soon. I haven't tried it, but I like that it reminds you what to clean and it gives you tips for spring cleaning. I'd love looking through the ads! Never tried Flipp before, but it would be great. Thanks for the giveaway…we have not tried the FLIPP app as of yet, but it looks like a useful one that we will try.